This is an easy block as long as you make sure to place the strips in the right order. Start with a square in the centre and build out from there. 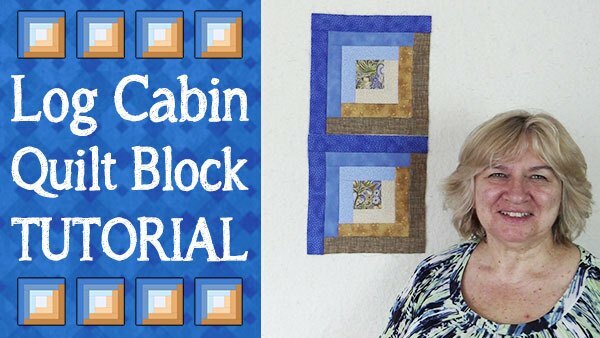 We have seen Log Cabin quilt blocks where people simply add a strip of fabric and then once sewn on, trim it back to size. Although this can work, it can result in distortion or warping of the block. If you cut your fabric so that it fits exactly then your block should come out square without any distortion.